This morning we were up early for our transfer from Potosi to Sucre, the capital city of Bolivia. This journey was only 3 hours so was a nice change from the long bus journeys we were used to. And the landscape definitely began to change to. From the tiny villages set in the mountains to much large urbanised areas. After checking in at the hotel, which was lovely, we headed out for a bite to eat. 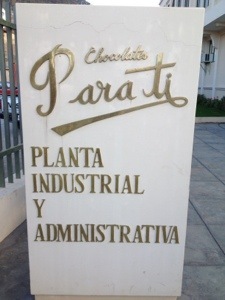 Our tour leader Joy, had been raving about this chocolate she gets in Bolivia so the next stop was the Para Ti chocolate shop round the corner. I’m quite fussy about my chocolate and normally I don’t like chocolate from abroad (even Swiss!) but this was actually pretty good, and if you are on my lucky list, some of you may be trying some very soon! The ladies in the shop were really helpful and even asked if we’d like to go tour their factory. We of course said yes! Tonight we dined at Florin, a Dutch owned restaurant/bar. It was a nice relaxed atmosphere, very much aimed at travellers which normally I’m not keen on but the food here was great. I ordered a steak with basil sauce and it is quite possibly the best steak I’ve had all trip (sorry Argentina!). 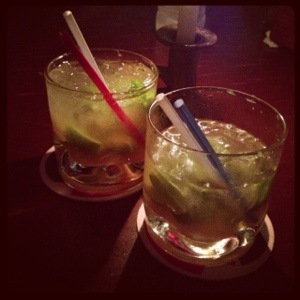 After dinner and a few caipirinhas we decided to carry on the party at a bar round the corner. After much dancing and some limbo my little legs were ready for bed. High altitude partying really does take it out of you!! This entry was posted in Bolivia and tagged Bolivia, G Adventures, south america, Sucre, travel. Bookmark the permalink.